Dawn Carter, the garden coordinator, poses for a portrait at the RIT Community Garden in Henrietta, N.Y. on May 23, 2018. When homework and classes become too much, there is no better way to refocus than by taking a break. Rather than bury your nose in your phone to check out the latest in your social media feed, you can refresh yourself in a natural and healthy way — and you don't have to go very far. 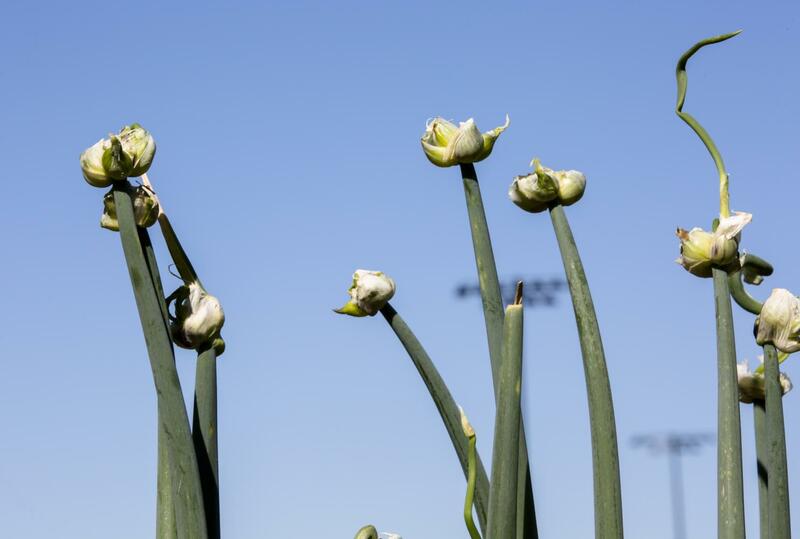 Behind the tennis courts on RIT's own campus sits a beautiful community garden just waiting for you to explore. 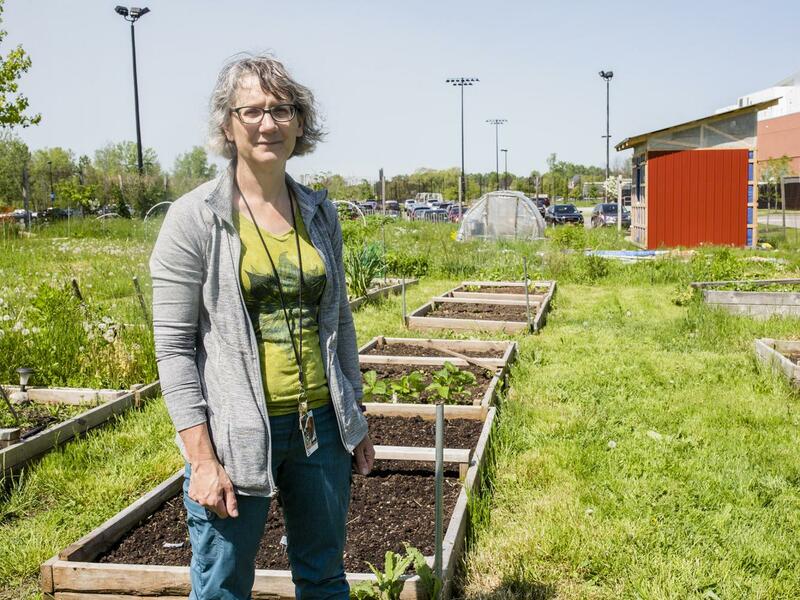 “The garden is a space bequeathed in 2009, open to faculty, staff, students, alumni etc., to grow food and flowers,” described Dawn Carter, the founder of the garden and a biology professor at RIT. The garden was designed with inclusivity in mind and has added amenities to ensure that everyone on campus can enjoy it. Originally communal, plots are now given out to individuals and clubs based on first come first serve, on a yearly basis. The garden has improved since its foundation in 2009, from an initial allotment of land by the RIT administration. Since then, the garden has thrived with new ideas and fresh hands to work at the soil, in addition to help from numerous sources funding these improvements. Clubs have a big role, be it simply holding a plot or having held a part in how it grew. These clubs include Engineers for a Sustainable World, SEAL, the Bee Club, Recover Rochester and the House of General Science. In the future, Carter also hopes to inspire the creation of a student gardening club. 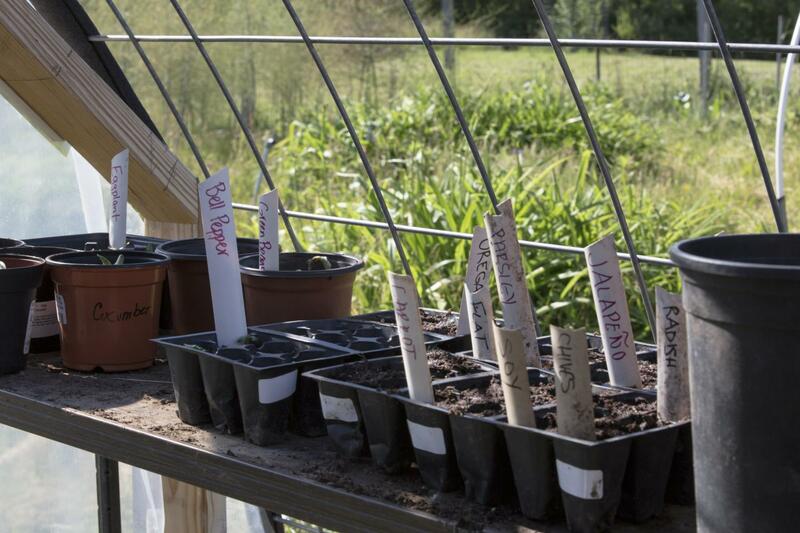 The garden not only hosts interested potential growers, but also classes. It is used to teach Science in the Garden, Introduction to Biology and Biology of Plants. Working side by side with Carter, Jennifer Horak is a vital founding member who has helped with the community flowers project and in public relations. “It just is good to have your hands in the earth. Science is now proving that if you connect to the earth, you will feel better. There are the rewards of harvesting foods you produced yourself — you are enriched by the process,” said Horak when describing how the garden benefits students. In addition to being a relief from school work, the garden is also personally satisfying, a good experience and gives back to the community. While having no true mission statement, their efforts are clear. “Our goal, if we have one, is for wellness in eating food you grew. It is therapeutic, exercise, education, community building and we’ve been able to provide a lot of food to various food resources,” said Horak. The benefits of the garden go far beyond the campus alone, also spreading into the city beyond. It is easy to see how busy students might not always be able to harvest their plot or how they might simply want to donate their efforts. In this case, the food goes to Recover Rochester (RR). “Since most of the garden is perishable, RR asks food centers if they need those sorts of food. If there is no need, we take them to Food Share. We try to make sure as little as possible goes to waste,” said Maryah Glover, a third year Biology student and the vice president for the organization. Glover has her own plot in the garden and has experienced its value first hand. “The most important thing is introducing students to the idea of gardening. A lot of people come from cities or places where it is too cold. They don’t realize how easy it is. They get to experience the reward from physical labor. The garden is ... teaching life skills that are important for the future,” she stated. Even if you are busy with school, the garden only requires an hour a week and a request to give back to the community — not too much to ask for such an enriching experience.